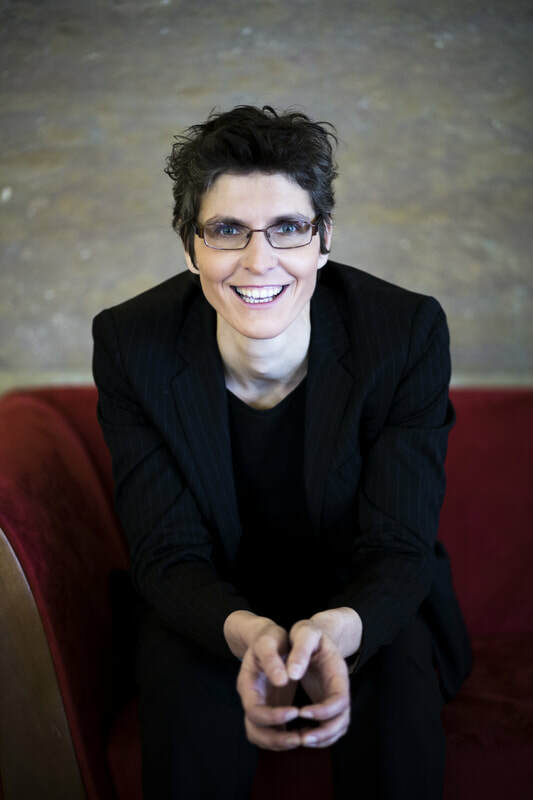 She is the Chief conductor of the Salzburg Philharmonic Orchestra, performing regularly in acclaimed concert halls like Grosses Festspielhaus Salzburg, Felsenreitschule Salzburg, Grosser Saal Mozarteum, Musikverein in Vienna, Konzerthaus in Vienna, Brucknerhaus Linz. Her repertoire has a wide variety from Bach, Mozart, Beethoven, Schubert, Mendelssohn, Schumann, Brahms, Bruckner, Mahler, Tschaikowsky, Rachmaninow, Schostakowitsch, Ravel and including modern composers such as John Adams, Kurt Schwertsik or Arvo Pärt. Highlights of the season 2019/20 include Orffs Carmina Burana, Mahlers 1st and 5th Symphony, Elgars Enigma-Variations, Bruckners 4th, Schuberts C-major Symphony, Dvoraks 8th, Brahms 2nd, Mozarts last Symphonies and Berlioz´ Symphonie fantastique, In autumn 2018, principal conductor Fuchs toured with the Salzburg Philharmonic Orchestra throughout China, performing Beethovens Pastorale as the main symphonic piece. Since 2012 Elisabeth Fuchs has worked regularly with the Stuttgart Philharmonic Orchestra, and has conducted for the Zagreb Philharmonic Orchesta at Lisinsky Hall since 2014. In 2013 principal conductor Fuchs debuted with the Helsingbourg Symphony Orchestra and in 2014 she debuted with the Brussels Philharmonic Orchestra. After very successful performances, she has been invited repeatedly by both orchestras to lead future projects. 2018 she debuted with Frankfurt Radio Symphony Orchestra, WDR Symphony Orchestra Cologne, and Symphony Orchestra Munich. For Sony Music she recorded together with the Radio Orchestra Munich and Quadro Nuevo the CD "Volkslied reloaded". At the State Opera Prague Elisabeth Fuchs had her debut with the Magic Flute. At the Salzburg Festival she conducted Schostakowitschs Das neue Babylon and the Mozart-operas Bastien & Bastienne and Der Schauspieldirektor, which was recorded on DVD by Deutsche Grammophon. In 2017 she had her debut in Israel at the Beer Sheva Sinfonietta. In addition to that she conducted the Hamburg Symphonic Orchestra, Brucknerorchestra Linz, Tonkünstlerorchestra Niederösterreich, NDR Radio Philharmonie Hannover, Mozarteumorchestra Salzburg, Württembergische Philharmonie Reutlingen, Symphony Orchestra Wuppertal, Symphony Orchestra Erfurt, Nordwestdeutsche Philharmonie Herford and the Philharmonic Orchestra Dortmund. Elisabeth Fuchs loves to concept new concertprojects to cross musical borders. Therefor she has been working together with Quadro Nuevo, Stjepan Hauser (2 Cellos), David Orlofsky Trio, Klazz Brothers, Henry Threadgill, Dance & Acrobatic Urbanatix Bochum, DJs Troy Savoy & Harvey Miller, Pacho Flores, Andreas Martin Hofmeir, Benjamin Schmid, Sergej Malov, Per Arne Glorvigen, Nikolai Tokarev, Rolando Villazón, Iris Berben, Maria Bill, Cornelius Obonya, Philipp Hochmair. Another very important part to Elisabeth Fuchs’ working life is her commitment to the educational component of the classical music scene. In order to connect children and youth to classical music, Elisabeth Fuchs founded the Kinderfestspiele, the „Teenie concerts“ and the „Concerts for apprentices“. In addition to that she started in autumn 2018 lectoring a student class at the Paris-Lodron University of Salzburg. Beyond Elisabeth Fuchs’ own artistic endeavors, from 2009 till 2018 she took charge of the artistic direction for the Salzburger Kulturvereinigung a prestigious cultural association in Salzburg. Elisabeth Fuchs studied Orchestra conducting, Choir conducting, Oboe, Music education and Mathematics at the University Mozarteum in Salzburg, the Paris Lodron University in Salzburg and the Music Academy of Cologne. She was strongly influenced by Balduin Sulzer, Franz Welser-Möst, Herbert Böck, Karl Kamper und Dennis Russell Davies. 2005 Irma von Troll Borostyáni Prize, 2007 Federal Decoration of Honor of the Federal Ministry of Art and Culture, 2017 Salzburg Prize of the Cultural Fund of the City of Salzburg, 2018 Honorary Cup of the City of Salzburg. She lives together with her two kids in Salzburg, Austria.